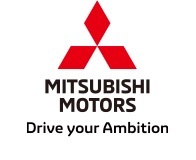 TOKYO, Mar, 26 2019 - (JCN Newswire) - Mitsubishi Motors Corporation (MMC) has unveiled the TRITON ABSOLUTE, an iconic special show model of the acclaimed TRITON (L200 in Europe) that embodies the rugged, solid, and uncompromising nature of MMC's flagship pickup at the 40th Bangkok International Motor Show 2019(1). 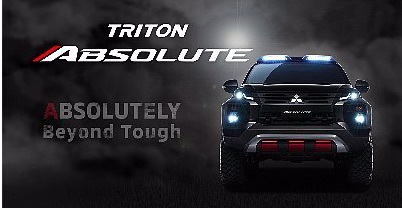 The TRITON ABSOLUTE expresses the concept "ABSOLUTELY Beyond Tough" through "Build-up Robustness" based on the "Truck Dynamism" illustrated by "More Solid and More Rugged" design and the TRITON's "Mechanical Durability". The striking features of the TRITON ABSOLUTE will showcase the robustness of the pickup's frame, and convey the rugged design and uncompromising presence of the TRITON in every environment. This special model's protective body paneling, rugged style, and bold lighting systems take on the "ABSOLUTELY Beyond Tough" nature of the TRITON, which has been relayed across generations of the outstanding, rugged pickup. MMC expects the bold and ambitious model to resonate strongly with pickup owners everywhere by embodying the proven mechanical durability and go-anywhere performance capabilities of the TRITON, which were further advanced with the launch of the 2019 model in Thailand last fall. The TRITON ABSOLUTE is also a key representation of MMC's "Drive your Ambition" brand tagline, expressing the 100-year DNA of the automobile manufacturing through tough design as well as the progressive values and exploration-minded ambitions of its drivers. (1) Officially VIP day is on March 25th, press day is on March 26th, and it is open to the general public from March 27th to April 7th.